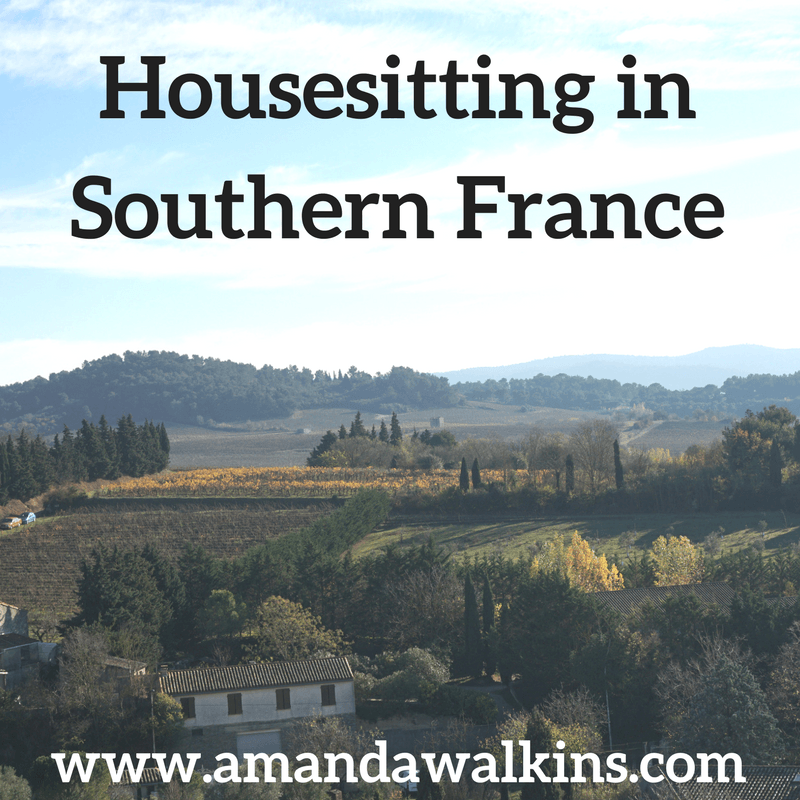 Castles, vineyards, quaint villages…southern France is a dream! As I mentioned, we joined TrustedHousesitters for more options on cheaper travel. I like living like a local, which is why I love the expat life so much. I feel more involved in a new community than a regular tourist, yet everything is still so exciting and enchanting. Short of moving to a new place regularly like we do, I think staying in a vacation rental is the best way to see a new place to understand the local area better. A hotel can look the same all over the world. But a vacation rental offers a glimpse into normal life there – the appliances used and the layout of rooms, the products purchased and the style of decor that’s preferred. Becoming a housesitter grants that same opportunity anywhere in the world, except you don’t need to pay for the vacation rental…you stay for free. That’s right. For free. I stayed in a beautiful, custom-built home in southern France for a week at absolutely no charge. Traditional wooden shutters and fruit trees included, plus vineyard views from the living room. Amazing! Well, my trip wasn’t entirely for free. I paid to rent a car so I could traipse around the countryside gawking at windmills and cruising through vineyards. And I paid to fly there from Edinburgh for less than $100 roundtrip (see why I LOVE travel in Europe?! It’s so cheap!). But I paid no hotel or AirBnB fees at all…which saved me probably around $800 for the 8 nights I spent there. The best part about all this was getting to share that time with the five French cats. If you follow me on Instagram, you’re already acquainted with these gorgeous moggies. If not, search for #fivefrenchcats to see what we got up to during my week there. Here’s a hint: With five cats around and my laptop out all day, we were bound to be best friends. Cats + laptops = eternal love. If I’m honest, I absolutely succumbed to the cliche writer life: Live alone in a romantic setting in Southern France and type away at my laptop all night while surrounded by cats. So stereotypically perfect! Want to travel the same way I do? Click Join Now and check out the incredibly diverse opportunities that are available through TrustedHousesitters. I’m honestly just in love with this whole system and I’ve been telling everyone I know about it! Go ahead, see what countries and magical places you could visit, all while making a new furry friend (or five).